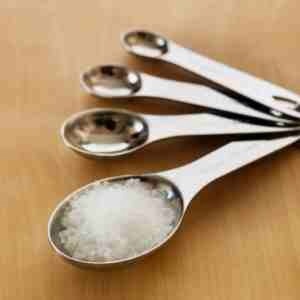 Limiting salt is a daunting task. Fast food, restaurants, and convenience foods are FULL of the stuff, making it difficult to decrease salt when we are on the run; and, what’s worse is that when we do commit to limiting salt, it’s not always the obvious culprits that jack-up sodium intake. For your reference, when limiting sodium intake, it is recommended to keep sodium to less than 700 mg per meal and less than 140 mg per snack. Here is a list of 5 surprising items that may be pushing your sodium intake over the limit!